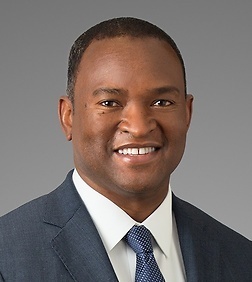 Dwight M. Francis is a partner in the Business Trial Practice Group in the firm's Dallas office. Dwight has devoted his career to class actions and other complex corporate litigation and has extensive courtroom experience. He defends and prosecutes commercial litigation disputes involving claims of theft of trade secrets, tortious interference with contractual and business relations, directors and officers disputes and breach of fiduciary duty claims, among many others, in federal and state courts across the country. Dwight has significant experience defending class actions asserting violations of the federal Telephone Consumer Protection Act (TCPA), unfair competition, false advertising, and other business torts. Dwight employs a unique approach to litigation matters, tailoring his representation directly to his clients' needs and goals. Early on, Dwight conducts a case assessment. During this assessment, he works with the client to define its goals and to prepare a case strategy that meets those goals through alternative dispute resolution, summary judgment or trial on the merits of the case. Dwight has effectively used this approach as national counsel and lead trial counsel for numerous entities. Dwight represents clients in various industries, including insurance, oil and gas, health care, manufacturing, airlines, motor club, third-party administrators and others.